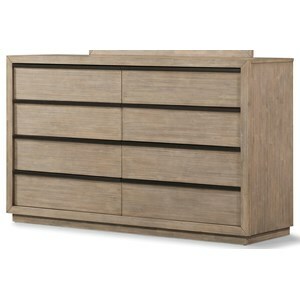 Bring the upscale beauty of the Dresser into your bedroom with eight large drawers giving you plenty of room for storage and organization. 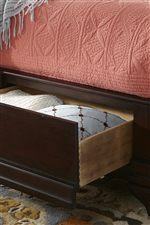 The bottom drawers are lined in cedar creating a fresh aroma for your clothing while the top drawers feature a drop front drawer for a cable box and jewelry tray. 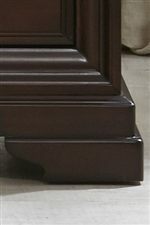 The Dresser gets its glamorous charm with French bull's eye knobs, framed molding and bracket feet. With a lightly antiqued espresso finish, the Dresser is sure to complete your bedroom set. The Newport Large 8-Drawer Dresser by Cresent Fine Furniture at Williams & Kay in the Anchorage, Mat-Su Valley, Eagle River, Alaska area. Product availability may vary. Contact us for the most current availability on this product. The Newport collection is a great option if you are looking for Transitional furniture in the Anchorage, Mat-Su Valley, Eagle River, Alaska area. Browse other items in the Newport collection from Williams & Kay in the Anchorage, Mat-Su Valley, Eagle River, Alaska area.